Quintel’s public sector Enterprise Resource Planning software solution, QGov, provides local government with a one-stop shopping integrated approach for all ERP functionality including: Finance, Budgeting, AP, Procurement, Fund Accounting, Grant Accounting, PA-DSS compliant (Payment Applications—Data Security Standards), Mobile, Work orders and preventative maintenance, e-government, employee self-service, Human Resources, Payroll and Reporting. The QGov Public Sector solution is a user-friendly, Rapid Deployment Solution municipal version that is designed to meet the needs of any type of public sector entity- cities, counties, school districts, colleges, and more. 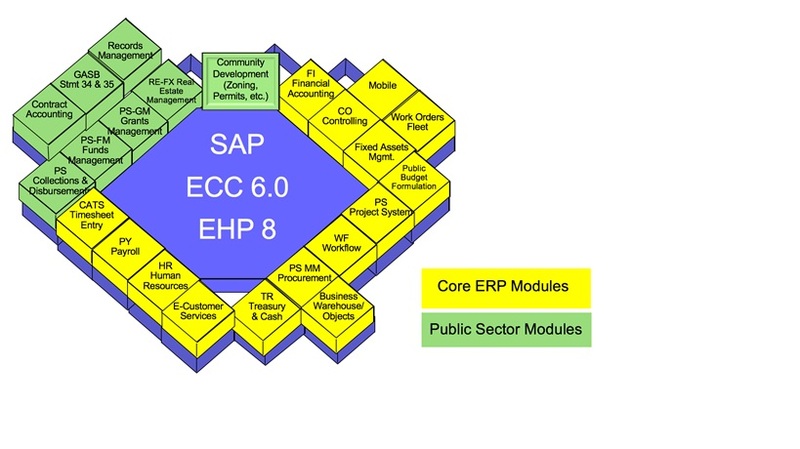 QGov meets the needs of common ERP requirements found in these entities and ensures compliance with regulations. QGov is ideal for any and all types of public sector entities because the solution is 70%-90% common and 10%-30% entity specific. The benefit of this for the public sector is that our ERP solution can be implemented in a timely and cost-efficient manner, two major business limitations within the public sector industry. QGov is tailored specifically to each organization. For more information, or to schedule a demo, please contact us.